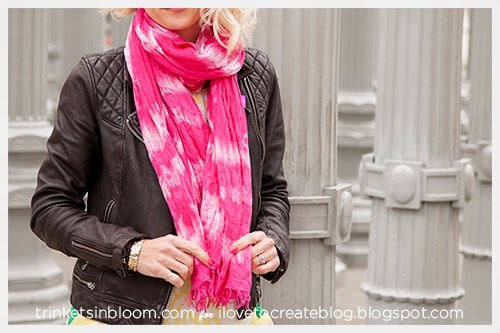 This Hot Pink Tie Dyed Scarf is one of those projects where I’ve been seeing many of my favorite fashion bloggers wearing one and I just can’t seem to find one I like as well. So of course I decided to make my own! 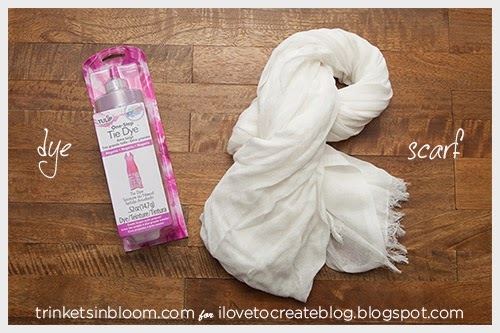 This Tie Dyed Scarf is super simple to make using Tulip’s One Shot Dye and the summer perfect accessory for those cooler days or nights when you still want cheerful color and a little warmth too! 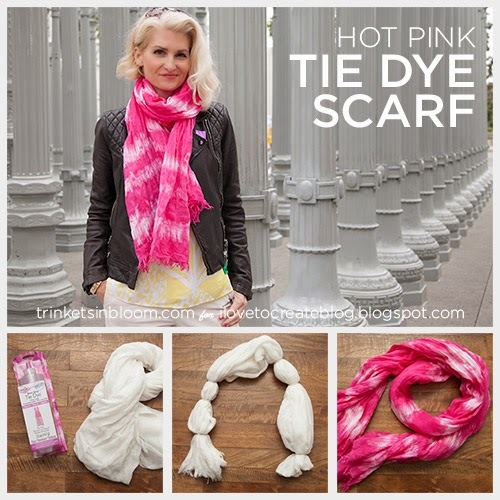 For best results use a natural fiber scarf. 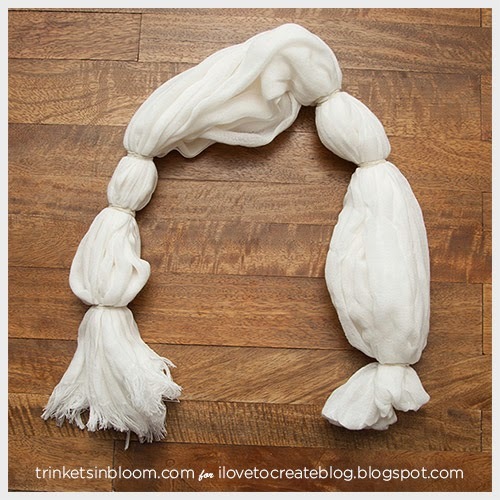 I used a linen/cotton scarf. Secure sections of your scarf with your rubber bands. I folded mine in half before adding rubber bands. 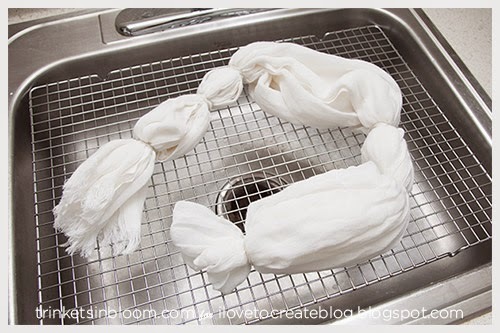 I recommend adding a small amount of warm to hot water to your dye bottle first and shake well. 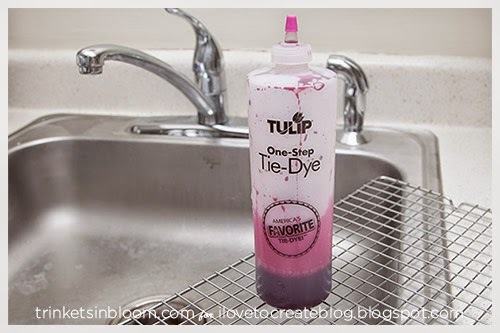 Then fill your dye bottle to the top with cold water and shake. 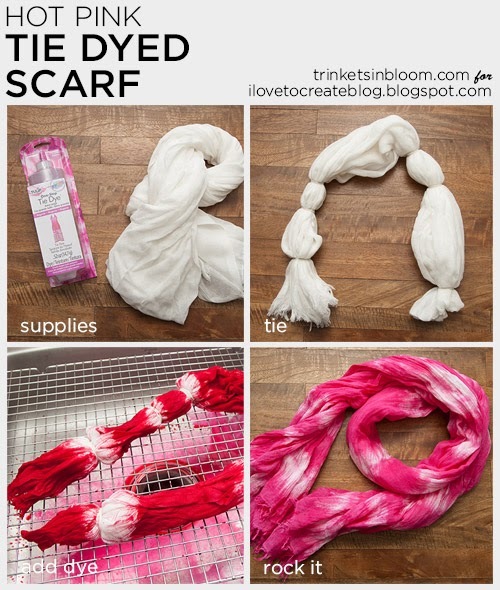 Working over a sink or plastic container, squirt your dye onto your scarf. Work in sections adding dye as desired. 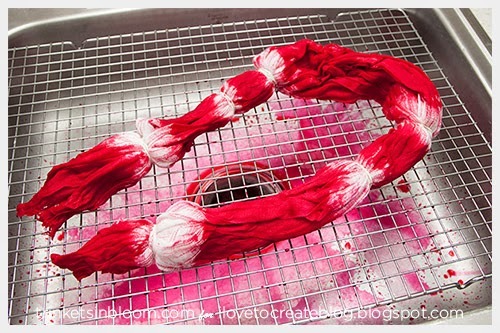 Let your dye sit for a few hours. The longer it sits the stronger your color will be. Rinse with hot water until the water runs clear. No time to make it now? “Pin it” for later!